"APACHE" IS A 2000 5 gaited mare. She is a bay and white pinto that is 16'2 hands. I bought Apache when she was 3 months old from my friend. I broke and trained her myself, she is also broke to drive. She is my personal horse and my pride and joy. She is a all around horse with many qualities like a trick horse, trail riding, parades, barrel and pole races, and I use her as a lesson horse too. She has given us 3 wonderful foals, Owens King Commander Leroy, Owens' Romeo of King Genius, and Owens'- Raves' Last Stand ---all 3 are bay in colors, 2 are pintos and one solid bay. She is old foundation bread with Society Rex, CH Rick Rack, Anacacho Shamrock, and CH Wing Commander. 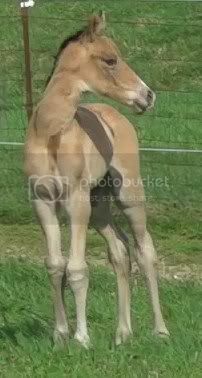 Apache had a HUGE Buckskin colt 4-5-10 for sale pictures soon. ANGEL" IS A 2003 BLACK MARE She is a 5 gaited mare and 15'2. Her lines include Sultans Black Sovran, Starheart Victory, The Coal Train, I bought her when she was 6-8 months old in West Virginia. I raised her and broke and trained myself. She has a high strung personality and is a lot of fun to ride and watch, carries herself with class and elegance. "FRENCH FRY" IS A 2004 Black brood mare, she is about 15'1H. Her lines include, Sultan's Great Day, Longview Supreme, The Coal Train, CH Will Shriver, and starheart Victory. I originally got her for our stallion Hide-A-Way's Rave Reviews in 2006, but she would not hold still for the poor old stud with arthritis, so we bread her to Hot Rod, and SHE HAD A DARK BUCKSKIN OUT OF HOT ROD 2008, IN FOAL FOR 2009. HAD A BLACK FILLY. 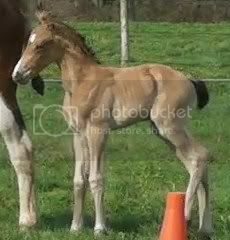 2011 Had black filly 3-22-11 by There It IS by Supreme Heir. Filly For sale. 1996 BAY MARE, she is also half sister to mare below, same Dam. We bought her in the fall of 2008. We are planing to breed her to Hot Rod this spring. She is broke to ride and started single footing for me. I will finish her this spring. Her bloodlines include on Dam side 2nd Dam is Whirlwinds Julie Anne a 87 WC Fine Harness 3 yr old she was out of WC Harlem Globetrotter and BHF mare Our Highland Heather by Chief of Greystone. On Sire side she is out of C.M. Sultans Private Contract, by Sultans Contract by Supreme Sultan. On His 2nd dam Commanders Teenage Queen by CH The Contracts Commander. "LADY" Is a 2004 chestnut Mare. 16H This mare was also bought in 2006 to breed to Rave, but the same thing happened as the mare above, So I decided she was just too nice to be a brood mare yet. I decided to try to see if I could show her. I broke and trained her in 2007 started to work her up fall of 2007 and Aug of 2008 got her back up and started the show training again. On her Sire's side, Wisdowns Black Gold by Pride of Ridgefield by CH Ridgefield's Genius, The Silver Lining by Ch Yorktown, On her Dam's side 2nd Dam Whirlwind's Julie Anne a 87 WC Fine Harness 3 yr old her sire is WC Harlem Globetrotter, and Dam BHF Our Highland Heather, by Chief of Greystone. SILK N' GOLD "Rest in peace with her filly"
"SILKY" IS A 2005 MARE BOUGHT SPRING OF 2008, SHE IS BRED TO HOT ROD FOR SUMMER OF 2009. Her Bloodlines include, Sire side, CH Harvest Commander by CH Sky Watch, on Dam side she goes back twice to CH Wing Commander. "MISS RAVE" IS A 2006 MARE THAT LOOKS JUST LIKE RAVE. "CLASSY" Is a 2007 filly out of our 2 favorite horses, our stallion Hide-A-Way's Rave Review and Owens' Classy Apache 1st mare on this page.